Looking back at the first quarter of 2016, the public equity markets have been defined by a fair amount of volatility, and have followed a “V” shape, ending the quarter close to the levels at which is started. At the same time, mid-stage private technology companies are focusing on “revenue and profitability” instead of just “growth and capital raising”. Amidst all of the reasonable caution, there is opportunity. In order to investigate these recent market trends, and in order to try and understand what may lie ahead, EquityZen is starting a series of interviews with informed professionals in the private, venture-backed industry. 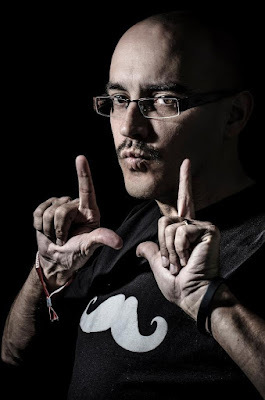 Since EquityZen is a proud member of the 500 Startups family, it felt fitting to begin the series with 500 Startups founder, and self-proclaimed geek, Dave McClure. 500 Startups has invested in over 1,500 companies across 50+ industries, including many household names like Twilio, Credit Karma, and Udemy. Prior to founding 500 Startups, Dave managed early-stage investments for Founders Fund, led the Facebook fbFund and was as a member of the PayPal mafia. Atish M Davda: How has the funding environment changed in the last 12 months for companies? Dave McClure: Most of the changes in the past 12 months have actually happened in the last 3-4 months. Investments in later stage companies have come down, especially Series B and Series C companies that jumped up in valuation. Non-traditional venture investors, such as public funds and corporate investors, wanted to get exposure to this part of the investment universe and began paying up for it. We’re now seeing them mark their books down as they would public companies. AMD: How big are the markdowns that you’re seeing on the private side? DMC: Early stage valuations have come down around 20%. Late stage companies are being marked down by around 30%. 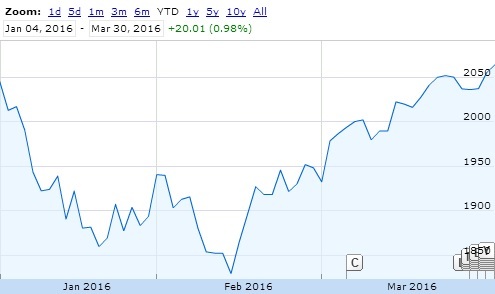 AMD: What advice would you share with investors that may be new to the space? DMC: Don’t focus too much on valuations going up and down in a short period of time, since it’s really all about the holding period. Some companies that have gone public after 12 months are down, but that’s what happens in a public market – there tends to be a lot more movement than before the IPO. AMD: If the goal is to buy and hold, does this short-term volatility matter? DMC: If the company is building a good business, the day-to-day ups and downs don’t matter as much. Many companies have a lot to prove, but being able to identify the long-term winners from the losers is ultimately what investing is all about. AMD: Are some companies still able to raise capital in the private side? DMC: There will definitely be a flight to quality, or perceived quality. A lot more attention is being paid to negative cash flows and the overall quality of the business. That just means those companies that can raise right now may end up cleaning up. Good investors will still compete over those deals. AMD: Is it fair to say that a large capital raise today is more of a positive signal than it was last year? DMC: Oh, yes - absolutely. Companies that can get deals done are going to be standouts. AMD: Many new venture investors have never seen the market take a turn. As they see a business cycle, something that is quite common, how should they approach investing? DMC: Uncertainty simply means that it could be the right time for some to buy and for some to sell. There are certainly a lot more sellers now on the secondary market, and with pricing pressure working against them, it may present an opportunity to investors who have been paying attention. DMC: An area of focus for both early stage and late stage investors should be finding platforms that provide both liquidity and investment opportunities in more established companies. At 500 Startups, we pay attention to this because investing is all about portfolio management and dollar-cost averaging. A personal thank you to Dave McClure for taking time to share his thoughts on private markets. Have another question related to venture investing? Ask in the comments below or tweet at us @EquityZen.